For the third and last day of journey through the Asian countries, I have a Vietnamese Iced Coffee | Ca Phe Sua Da recipe. We traveled to India and Korea for the past 2 days with Papaya Lassi and Bori-Cha. If you are a coffee lover, you know that no beverage can equal a coffee. We are one of those strict coffee drinkers who would not drink anything other than filter coffee. Realizing that there is much more than just the filter coffee, we widened our coffee selections and drink coffee in many different ways. We still need the Morning filter coffee, but evenings are enjoying coffee in other ways. 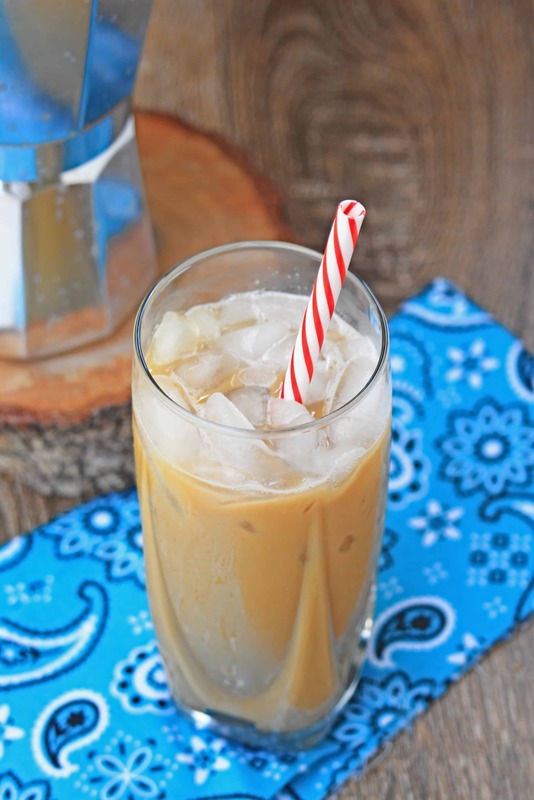 Summer means iced coffee and today I tried the Vietnamese Iced Coffee which is very simple to put together and so flavorful. Kids in coffee drinking household develop an affinity to coffee flavor. My boys love coffee and they get a little drizzle of coffee as a weekend bonus. When I brewed coffee this morning to make the Vietnamese Iced Coffee, my boys wanted to have a taste of the coffee. It turned out that before I could blink, they both finished the whole glass. They both took turns and drank the whole tall glass full of Iced coffee. The best part about the Vietnamese Iced Coffee is the cream part. 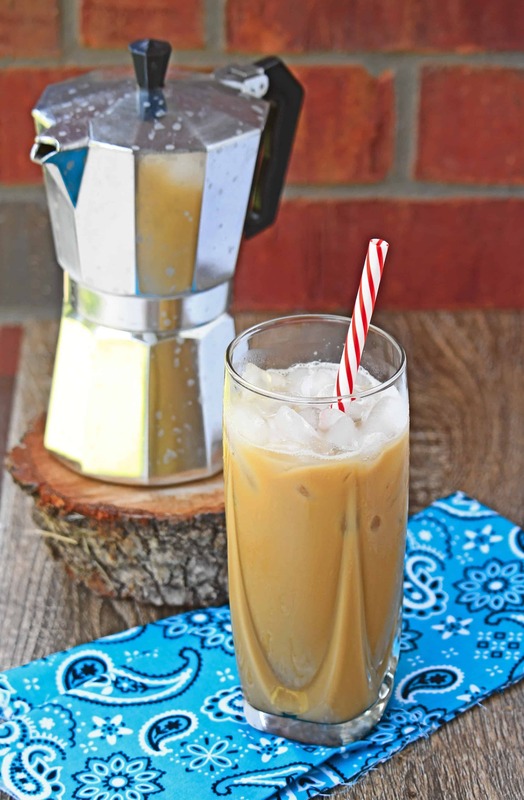 Sweetened condensed milk is used in the coffee and that adds a richness and a great flavor to the coffee. You can make your own condensed milk at home. Check it out here! Apart from this, all we need is good quality coffee. I did not specifically use Vietnamese coffee powder. I just used the regular Columbian Medium roast coffee that we use for the filter coffee. If you know me, I have a collection of assortment of coffee brewers. I used one of the stove top coffee brewer that I have to brew the coffee today and it was beautiful. I saw in few videos that in Vietnamese households, they have a single serve coffee brewer that just drips directly over the glass. This particular brewer I used has 3 layers. The bottom layer holds water which gets heated. It has a mesh cup inside it that holds that coffee powder. The top part is where the brewed coffee drips. The water boils in the bottom, rises up through the coffee mesh and the the brewed coffee collects in the top part. This is a great coffee brewer to use for single servings. After that, all we have to do is mix with condensed milk and pour over ice in a tall glass. Make sure that you brew a strong coffee as it gets diluted as we pour over the ice. Brew the coffee in your routine way. Make sure you brew strong coffee. 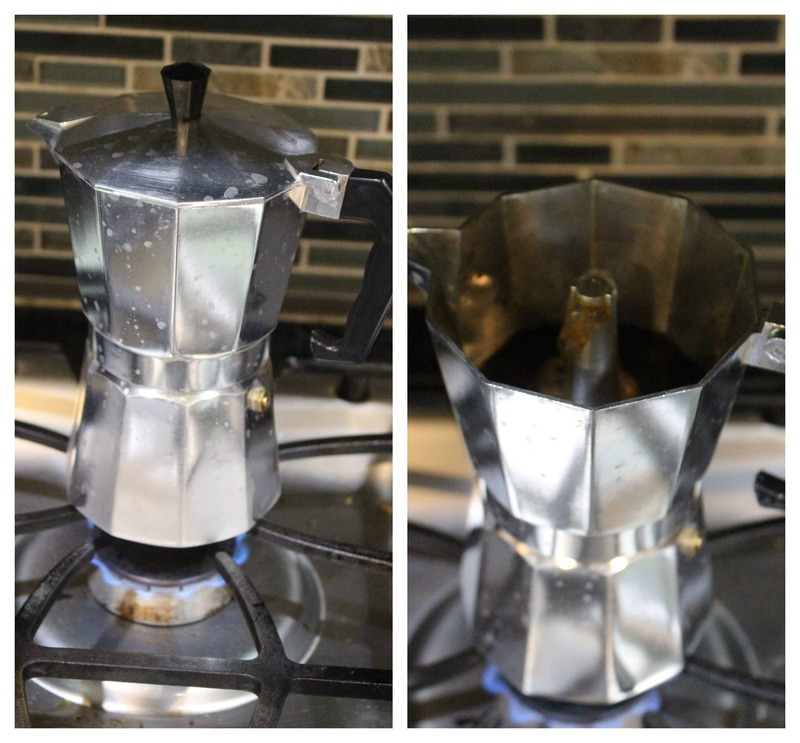 I used my stove top coffee brewer to brew my coffee. 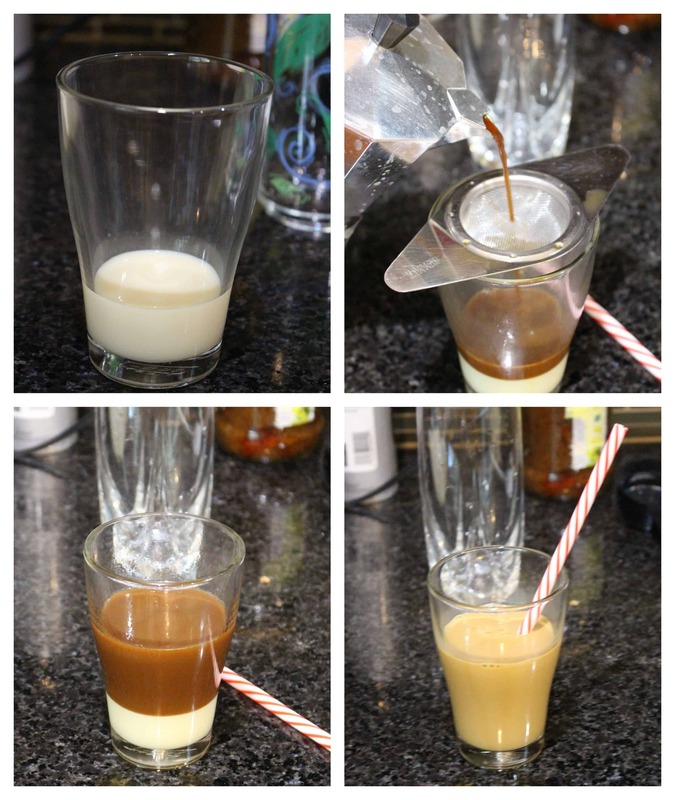 In a glass, add 2 TBSP of sweetened condensed milk to the bottom. Now pour the brewed coffee on top of it. Mix it well to combine. Fill another glass with ice and pour the prepared coffee over the ice and serve immediately. 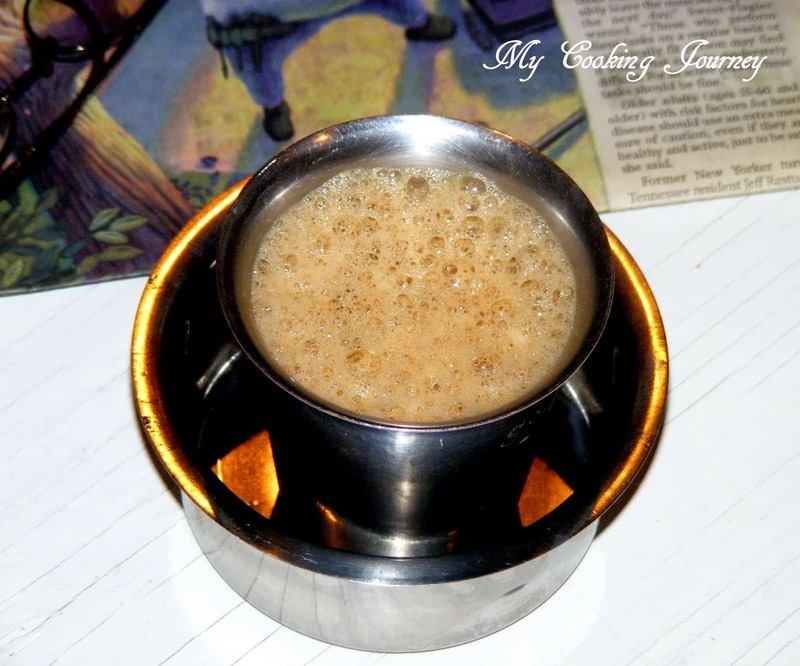 This is one of our favorite drinks Sandhya. 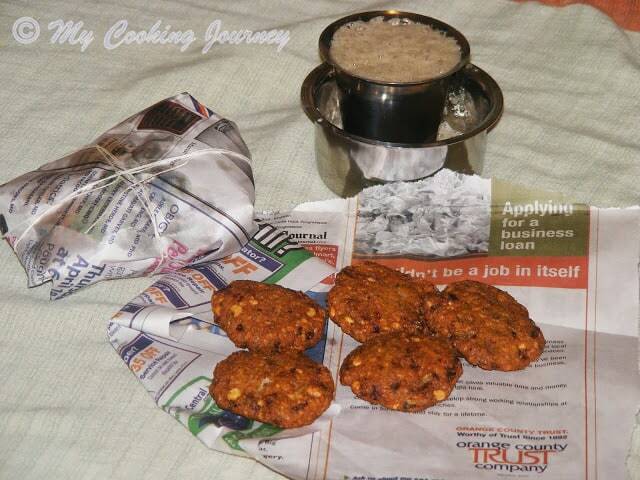 When I made it couple of years ago, kids went crazy after tasting it and kept asking me to repeat! Your pictures look just the same as those I referred. Wonderful theme and I enjoyed reading about all the drinks! An excellent alternative for summer. 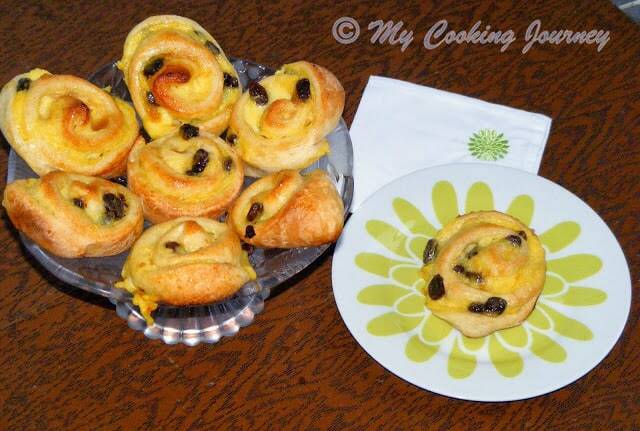 Sounds rich with the condensed milk. Pictures look very good. Not a coffee drinker,but the pictures make me drool.. Tried this refreshing iced coffee long back for an event and totally enjoyed it to the core. Now you are tempting me again to make some. Super drink. I am sure my coffee loving husband will love this. Bookmarked. I may not be a coffee person but for sure this one is tempting me , let me make it for my niece and then take a sip . The chilled coffee is very tempting and you have explained it so well . That is an interesting brewer you got there Sandhya. My daughter started drinking coffee ever since she was a child and she loves her share every day. 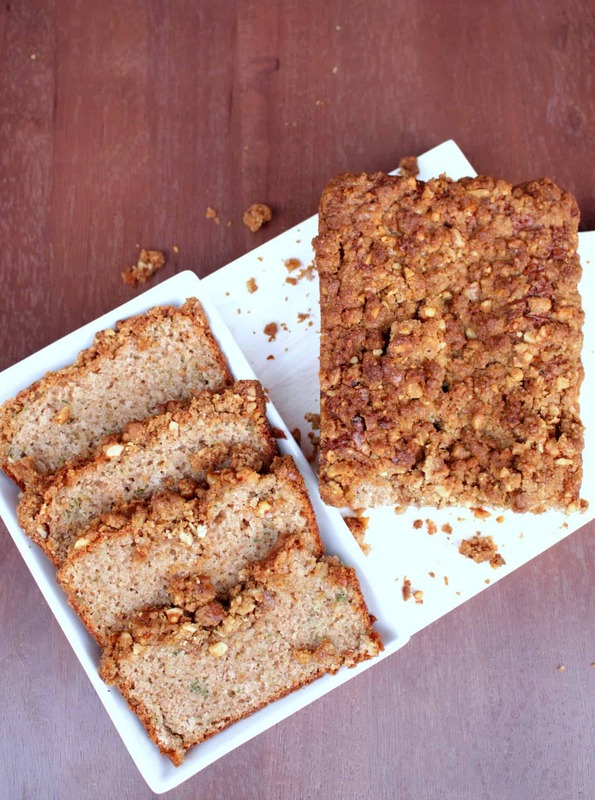 This coffee is one of our fav recipes. The condensed milk adds an amazing flavour to the final coffee. After seeing your post I am tempted to try it again. I am not a coffee drinker but can appreciate the cold beverage virtually. Beautifully captured iced coffee. 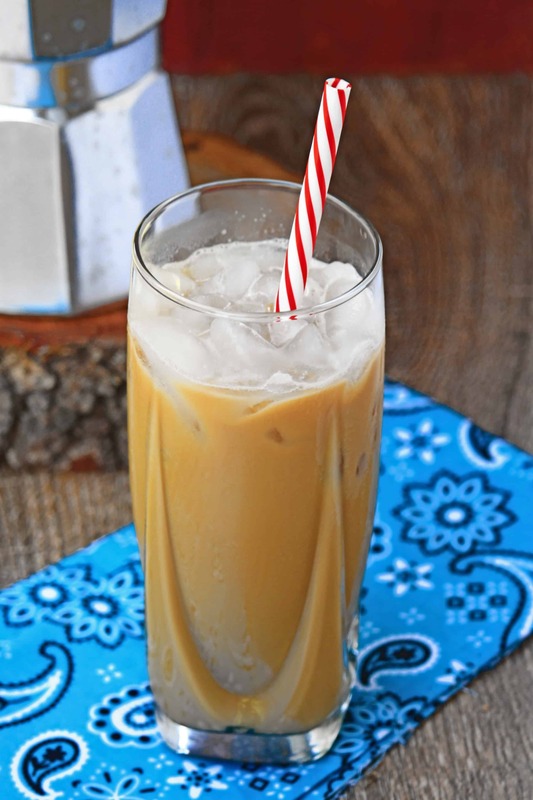 Wow, the Iced Coffee looks so nice. I love your Coffee Brewer too Sandhya. Iced coffee looks tempting. Definitely giving this a try. Bookmarked. 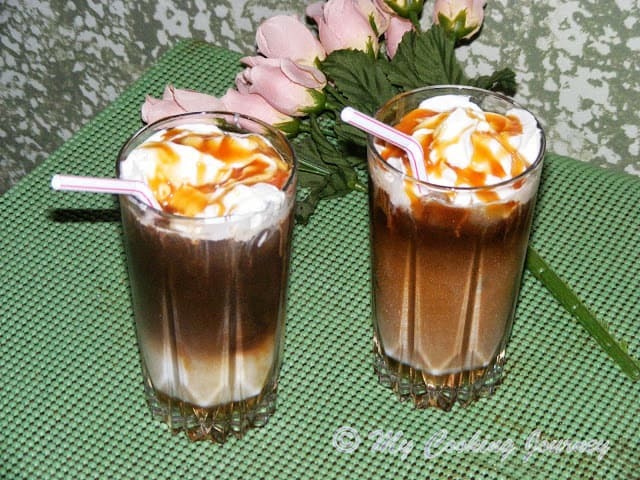 Beautiful clicks and i can never say no this this Iced Coffee..
That looks so creamy and yum. Want to try it asap!